**See Virtual Tour for a 3D walk through! ** What a beautiful, well kept ranch at 801 Bowmore Place in Douglass Hills! Sitting in a private cul-de-sac with plenty of trees for shade and privacy, makes for a great location to call home. 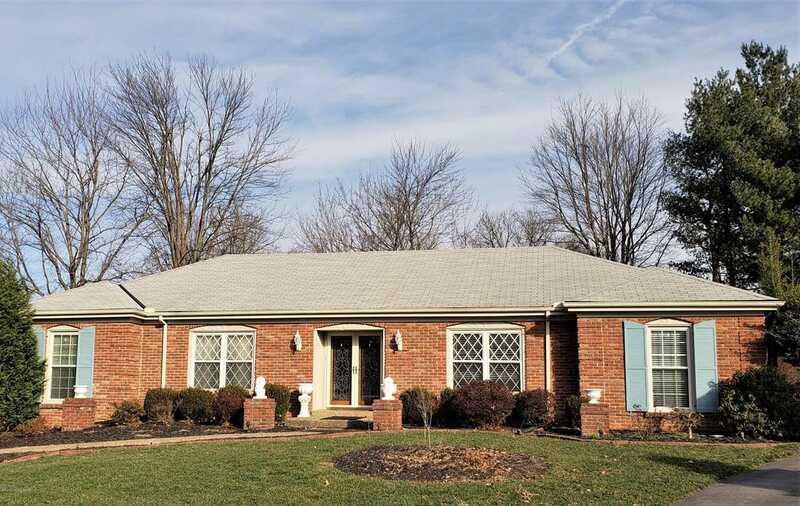 Plenty of square footage in this all brick ranch with three bedrooms and three full baths, above grade being 2400 sq. ft. 1st floor laundry! Large partially finished basement has two more rooms that are the size of large bedrooms, along with a full bath. Spend your evening in the spectacular vaulted addition with a fire going. Eat in Kitchen has more than ample cabinet space along with an island. 2 car attached garage is accessible from the laundry room right off the kitchen. Directions:MOSER RD. OR GATEHOUSE TO WHITEHEATH TO END OF FARMINGHAM, TO BOWMORE CT. TO BOWMORE PL. SchoolsClick map icons below to view information for schools near 801 Bowmore Pl Louisville, KY 40243.